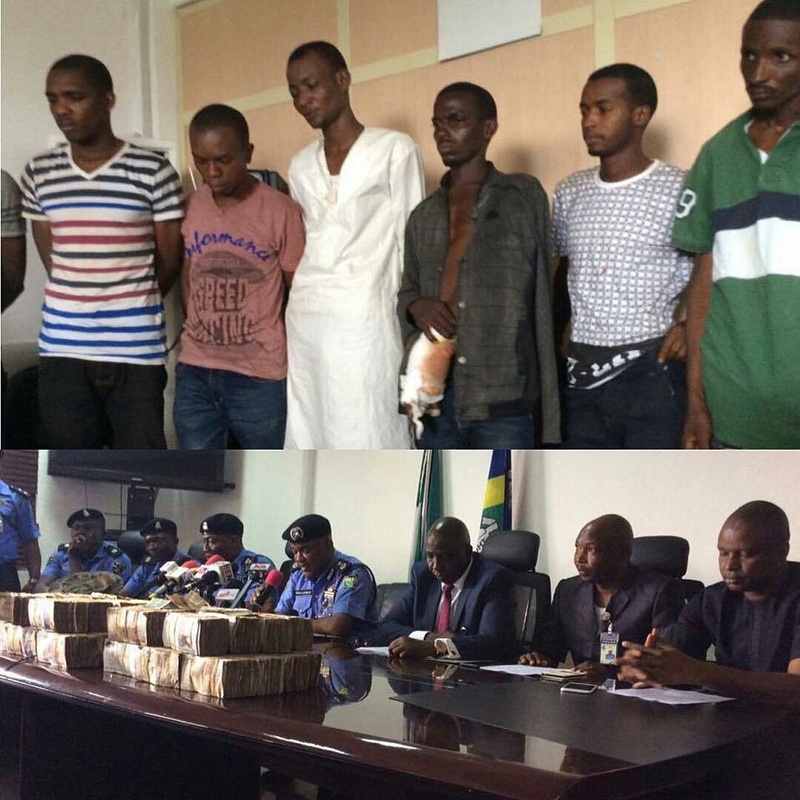 Nigeria Police parades the kidnappers of the wife of the CBN governor, displays the N15m recovered from them. The Nigeria Police Force (NPF) Today, parades the suspected kidnappers of CBN governors wife at an ongoing press briefing in Abuja. Earlier on the wife of the Governor of Central Bank of Nigeria (CBN), Mrs. Margaret Emefiele was recently kidnapped along the Benin-Asaba highway. Daily Trust gathered that Mrs. Emefiele was waylaid by the gunmen around Ugoneki town along the Benin-Asaba expressway in Edo State . She and other persons taken were later released following a massive police operation in the area. The Central Bank of Nigeria (CBN), Governor Godwin Emefiele expressed gratitude to the Federal Government and security agencies for the rescue of his wife, Mrs Margaret Emefiele.